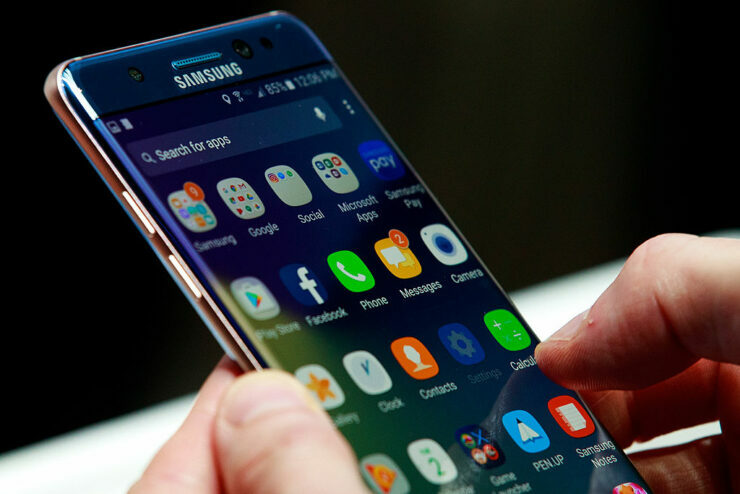 A few hours after the specifications of Galaxy S8 Plus were leaked, we now have the Galaxy S8 specs right in front of you and sure enough, the upcoming flagship will feature a screen size that’s slightly larger than last year’s Galaxy Note7. If you compare the specifications sheet for both the Galaxy S8 and the Galaxy S8 Plus, you will immediately find out that the only thing separating both phones in terms of those spec details is the screen size. 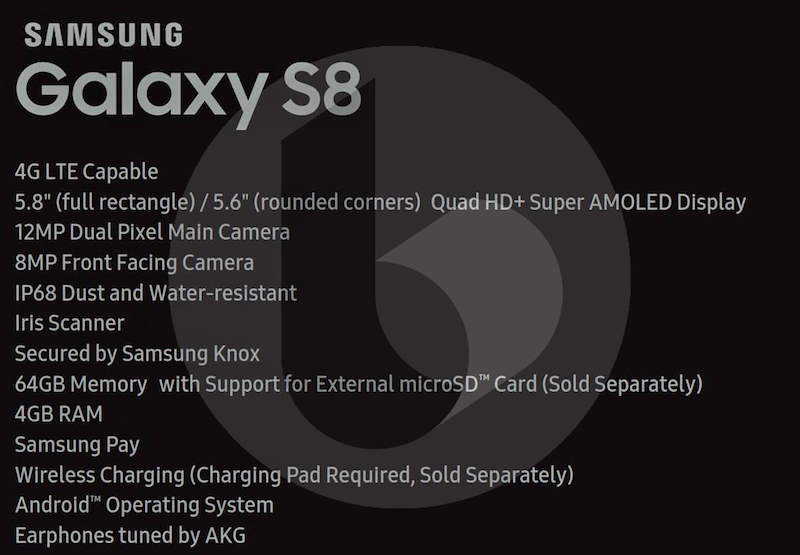 According to the image that TechnoBuffalo got their hands on, the Galaxy S8 will be touting a 5.8-inch QHD panel using Samsung’s Super AMOLED technology. In addition, AKG Acoustics are most definitely going to be working their own magic on tuning the earphones that will come bundled with the smartphone, so let us hope that such an accessory is able to provide superior quality audio because we know that majority of consumers are not yet ready to make the jump to wireless earphones. Due to the larger screen, Galaxy S8 is also going to be touting a much larger battery than the Galaxy S7, or at least that is what we’re hoping for otherwise, the larger screen real estate would have gone to waste. However, if you want a stellar battery life experience, then we recommend getting your hands on the Galaxy S8 Plus. The 6.2-inch screen will give you a bigger battery, plus you’ll have more space to view your usual smartphone content. Both the Galaxy S8 and Galaxy S8 Plus are going to be shipped out in the Snapdragon 835 and Exynos 8895 chipset variants, but it will be interesting to see how both chipset models perform in real-world benchmarking tests. Which Samsung Galaxy flagship do you plan to upgrade to when it officially launches? Let us know your thoughts down in the comments.